The Majestic Swat Trip(Saturday, 29 April,2017) Slow down your pace, feel the wind of freeze Malam Jabba,enjoy the breezes of swat River, listen to the music of Kalam & mahadund lake kalam and experience the luxury of swat with #globalexecutivetravels. –Jeep as per itinerary on 7 pax sharing per jeep basis. —Extras at hotels like drinks, laundry, phone calls. —Insurance liability medical aid, and helicopter rescue coverage. —Breakfast: 1Paratha + 1Egg + 1Milk Tea. *Meals served with Fresh Chapati and Cold Drinks. *Tea will be served with every dinner. Come and join us this holiday season with luxury in your budget !! We will take you to the places, where you want to spend your entire life!! THE WORLD OF LUXURY AWAITS YOU! – the only limit is your imagination! 3- – 0% refund in case of cancellation your slot before less than 7 days of departure date, DURING THE TRIP WHAT SO EVER REASON . * ADVANCE IS NOT REFUNDABLE IN ANY CASE. 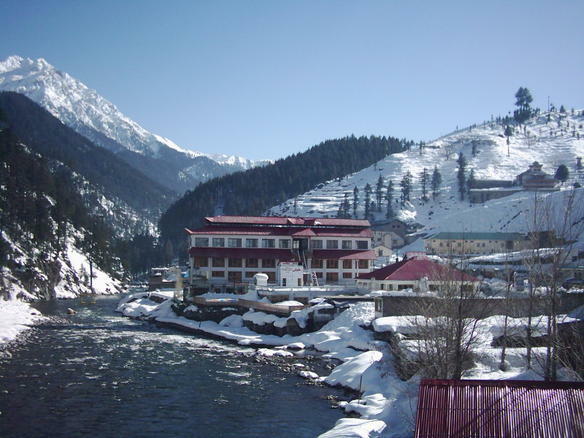 Madyan is a tourist resort on the Swat River. At an elevation of 1,321 metres (4,335 feet), steep wooded hills provide a scenic backdrop for the fast flowing Swat River which gushes through the narrow gorges. Bashigram valley drains into the Swat River from the east at Madyan. The source of the Bashigram torrent is the pristine Bashigram Lake at 11,600 feet above sea level. The lake can be reached after a daylong strenuous trek. Its riverside location and pleasant climate make it an attractive tourist spot with rows of shops, hotels and restaurants along the main road. Antique and modern shawls, traditional embroidery, tribal jewellery, and carved wood furniture are sold in the shops on the main street. The shawls are woven in the side valley east of Madyan, where this cottage industry has been thriving for nearly 2,000 years. There are also a number of comfortable hotels and guest houses which provide accommodation facilities to tourists. The bazaar of Bahrain is worth exploring handicrafts especially in summer season. Kalam is a village along the upper reaches of the Swat River in Swat Valley, in the Khyber Pakhtunkhwa province of Pakistan. The White Palace of Marghazar was built in 1940 by the first king of the Swat, Miangul Abdul-Wadud in the small town of Marghazar situated at about 13 kilometers away from Saidu Sharif. The name was given to the palace as it was built of white marble. The palace now serves as a hotel. The White Palace at Marghazar was the summer residence of the Wali of Swat, Miangul Jehanzeb. Located at 7,000 feet above sea level on Marghazar Hill, it was later converted into a tourist resort.